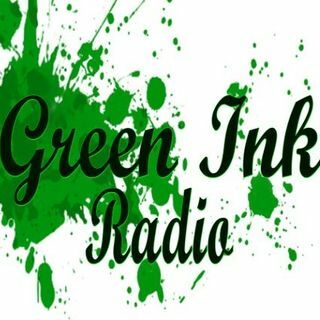 Green Ink Radio is a fun and engaging series on topical health, wellness, and spiritual explorations. Tune in to Rock Your Best Life! A is for Ashley Hagen: Yogi(ni) Extraordinaire! Nathan Caron, a life-long ... See More learner, holds a MA in Education from the University of Saint Joseph and a BFA from the University of Connecticut. He believes the transformative power of education includes opportunities to listen, share, and empathize with each individual and his or her journey. Is your heart aching with grief? Is someone you know suffering from grief? This episode may be just what your inner doctor ordered! Blessings straight from my own integrated grief heart. Spaz on Mental Health, with host and psychotherapist Rhonda Spaziani, focuses on mental health issues and human flourishing. Hard topics ranging from domestic violence, to psychopathy, to depression and anxiety, to Complex PTSD, to suicidal ideation (and more!) are explored as well as positive and health psychology strategies to realize ... See More your best life. Rhonda Spaziani is a licensed professional counselor, hypnotherapist, owner of Spaziani Therapy, and an instructor of psychology and first year experience courses at Three Rivers Community College. Learn more about Rhonda at www.spazianitherapy.com. Explores a wide array of wine topics for the novice and aficionado alike. Spaz on Wine, Uncorked illuminates the mysteries and complexities of wine in fun and engaging 10 minute audio lessons, stories, and interviews. Tune into each episode and enjoy the accompanying blog on GreenInkRadio.com to improve your wine groove! Rhonda ... See More Spaziani grew up in an Italian-American family where wine was poured at Sunday dinners, holidays, and whenever a visitor came to the door. Her father, Eugene Spaziani, is a renowned wine maker, columnist, connoisseur, educator, author, and frequent guest of Spaz on Wine, Uncorked. Rhonda is the Co-Chair of the Eastern Connecticut Chapter of the American Wine Society and the host of Spaz on Wine, Uncorked with the hopes of encouraging the love of wine in a joyful, exploratory, and celebratory manner. Saluté! We will explore the history and mystery of tarot and how tarot readings can be used to uplift you and keep you moving ... See More in the right direction in times of challenge or when you are looking for more self-awareness, clarity, or support. MysticKat will perform live readings and provide tips on and insight into interpretation and application of tarot to real-life situations. This show is for beginner- to advanced-level card readers and non-readers alike. Join MysticKat for free readings and lively coversations! Kat O'Reilly has been a tarot card reader for over 25 years and combines her study of tarot with a master’s degree in Sociology for truly informed and insightful readings and discussion. Kat can be reached directly at mystickatarot@gmail.com. Marcy Currier is an artist, healer, yogi, and intuitive consultant, here to help you see yourself more clearly, love yourself more completely, and have a surprising amount of fun in the process. For the past two decades, Marcy has immersed herself in the study of archetypes, imagery, and symbols. A natural empath, medium, and channel, ... See More she is trained in a variety of healing techniques and is a professionally certified Tarot card reader, reiki master, and kundalini yoga teacher. She is committed to bringing out the brilliant genius that resides in everyone, and to guiding people in their encounters with Truth. Marcy offers private coaching, intuitive Tarot readings, and empathic energy healing, and leads classes and workshops on Tarot, intuitive development, creativity, and personal transformation. She is the founder of Metamorphosis Healing & Intuitive Arts and a member of the Holistic Studies Faculty at the Omega Institute in Rhinebeck, NY. She is CJ in the Morning's Favorite Tarot Card Reader (listen in on 94.3/97.3FM The WOLF) and the Resident Intuitive on the Hey You Know It Podcast, available on iTunes. When she’s not working with clients or laughing with her son, Marcy is hard at work on the Mystical Frog Tarot or producing mind-expanding arts and entertainment events. Sometimes, she's just evolving.